Creating a new inspection order in your ISN account will automatically create one, or more, Tap Inspect reports with the property address, inspection date/time, client, and agent information pre-populated for you. When you publish your Tap Inspect report we can optionally upload the PDF to the corresponding ISN order automatically (available starting with v5.6 of the iOS app). When all of the reports associated with an ISN order are published, we can optionally complete the ISN order for you automatically. If you prefer, you may still have your clients and agents pick up their inspection reports from the Tap Inspect website while using the ISN integration. Point your web browser to https://app.tapinspect.com/integrations (login with your email and password if needed) and click on Add Inspection Support Network. Once you add the integration, you will be asked to enter your ISN account credentials. Each of the fields must be entered before the integration will become active. The screenshot below shows where you can find the access keys and company key for your ISN account. You can find more detailed information on how to find this in your account in this ISN help center article. When a new order is scheduled at ISN, the order type is used by Tap Inspect to determine what kind of report(s) to create. Use the drop-down boxes to tell us which templates should be used to create reports for each order type. If you want Tap Inspect to create more than one report for a specific order type, click on the + button to add a second row. Use the new drop-down box that appears to specify which template to use for the additional report. You may create as many reports as you like for a specific order type, but the template you have chosen first will be considered the "inspection report" for the order. Any additional reports generated will be considered "inspection attachments" for the ISN order. Use the - button to remove templates from an order type. If you want Tap Inspect to ignore certain order types, you can simply choose Don't create a report. 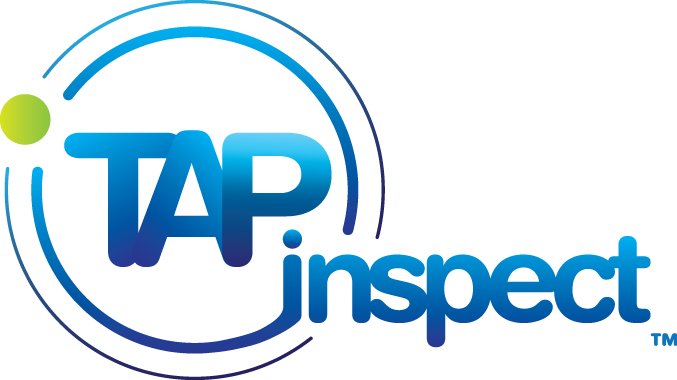 Have clients and agents continue to pick up their reports from Tap Inspect's website. When you publish a report, they will receive an email from the Tap Inspect system as normal. Have clients that agents pick their reports up from ISN. When you select this option, published report PDFs will be uploaded to their corresponding ISN order. When that order is completed, ISN will handle delivery of reports for you. Clients and agents will never visit the Tap Inspect system. Once you have made all of your selections, choose Save Changes to enable the integration. Within the next few minutes Tap Inspect will import the information for your ISN orders scheduled in the future. If you have already manually created Tap Inspect reports for inspections that are scheduled through ISN, our system will do its best to match your existing reports to the ISN orders. If this fails, you may see duplicates appear in your inspection list. Once an ISN order is created or changed, the Tap Inspect system should pick up the changes within 15 minutes. Any new or modified reports will appear on your mobile devices the next time they connect to the Tap Inspect servers. The first thing you will notice when you open a report that was imported from ISN is that the job information screen will appear differently. The normal job information items will be replaced with a new ISN Info section that contains information relevant to performing the inspection. The section will also contain a View Order on ISN button that will allow you to open this order on ISN's website. The items in your report may either be multiple-choice or generic text items. Some values on the property info screen (like referral, etc.) are not shared with us by ISN and are not populated in your report. By default, report PDFs will only be sent to ISN. If you desire you may also check the email address of someone in the report when publishing. Those people will be invited to pick up the report from Tap Inspect's website in addition to ISN. Also by default, Tap Inspect will not mark ISN orders as completed. You will need to log into ISN's website and do that yourself. If you would like Tap Inspect to also mark orders completed when you publish a report PDF, you can do so on the integration settings screen by changing the value of the drop down box Tap Inspect should mark ISN orders as completed when to the value you desire. It can take up to 15 minutes for changes at ISN to be incorporated by the Tap Inspect system. Those changes will only appear on your mobile device once you open the app and connect to our servers. If it has been significantly longer than 15 minutes and you don't see your changes, it's possible you have told us to ignore the order type you are working with. Take a look at your integration settings and make sure that the order type has the appropriate template selected. If there was some kind of error importing the order data, you would see an error message there also. We do our best to figure out if an existing report in your account corresponds with an order in ISN. We try to figure this out by checking if the property address matches, the inspection date/time is within 24 hours of what appears in ISN, and that the report was based on the same template you told us to use for that order type. If there is a slight difference in spelling in the address than our system will assume the report is not related and create a duplicate. If you get a duplicate for a report you have already published, you may simply trash the duplicate. If you modify the order in ISN again for that report the duplicate may reappear, but you can just trash it again. If you get a duplicate for an upcoming inspection, it's best to trash the report that you created manually and keep the one created by the ISN integration. You can compare the spelling of the addresses to what appears in your ISN account to see which is which. If you are having trouble figuring that out, please contact us and we can help. If the duplicates that appear are for the wrong template type, follow the instructions for the next problem below. You specify which templates to use for each ISN order type on the ISN integration settings page in your Tap Inspect account. The wrong template is being used, it's likely you accidentally sent the wrong value there. Go back to your ISN integration settings and switch the template to the one you need. Our system should fix everything for you the next time the corresponding orders are updated on ISN's website. The quickest way to resolve this is by going to the corresponding orders in ISN's website and choosing Actions -> Create footprint. That will trigger our system to reevaluate those orders and correct your account. For inspections that originated with an ISN order, ISN is the sole authority on what the correct value is. If you see an incorrect value in the order information, you must change it on ISN's website. Once you change it there, Tap Inspect will automatically incorporate those changes within 15 minutes. The flow of information in ISN orders is primarily one directional: from ISN into Tap Inspect, not the other way around. The only information Tap Inspect pushes back to ISN is the published report PDF. Any other changes you make may be overwritten when the corresponding ISN order is changed. Tap Inspect searches for items in your report to populate based on the item name. Make sure that the item name exactly matches the field in your ISN order. Tap Inspect only looks in the general section of your report, so items that appear in other sections will not be populated. Also note that only fields from the property information field of your ISN order are transferred to your Tap Inspect reports. Some fields that appear by default in your ISN order property information tab are not shared with us, such as referral, etc. Those fields will not be copied to your report even if you have a corresponding item.